Are You Holding On To Any Credit Cards? If so, have you been making payments (in full especially), for your credit purchases, on time? If you are not and just making the payments for the bare minimum and having signs that you are going to default the next few payments, then these are some signs that you are going to have Credit Card Debt Issues! 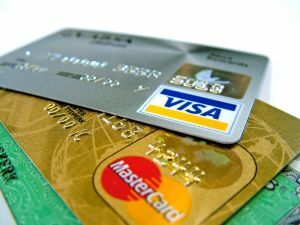 With all the perks offered for having Credit Cards, there’s also the negative side to having them especially if you are one of those who have issues making full settlement on time. Time also has a part to play because of the existence of the interest rate and this interest rate is compounding! To have an interest rate compounding on your outstanding debts can be quite scary in the long run… Imagine just have a debt of $1,000 and an annual 24% per annum Finance Charge imposed on this amount. And there’s the common practice of using 2% (24% divided by 12 months) per month to compound. From the mere of $1,000, the debt grew to $1,269.07 at the end of a year. And what I have shown you is just a simple illustration of a small loan debt (is your usual debt usually this small?) and that you are not going to make any further credit card purchases (is it possible? are you able to avoid the temptation?). Your Savings Affected (together with your Financial Objectives) – if you do not get out of this situation fast, your long-time savings may get used up fast, resulting in you not achieving your Financial Objectives. No Peace Of Mind – just think of the number of letters you will be receiving for late bill repayment or even personal calls checking on your financial situations. Lifestyle Affected – at times like this, you may find it hard to ask for loans from your friends or family. It’s not their fault. They do have their own financial commitments. 1. You are only able to make payment for the bare minimum balance on your credit card bills. 2. Your total balance due on credit accounts is increasing each month. 3. You are starting to miss payments, paying late or making different payment for different bills at each month. 4. You are starting to make use of those overdraft, credit lines associated with your credit cards to make payments (taking a loan to pay off a loan). 5. You are starting to tap more on your personal savings or giving less allowances so that you can make payments. 6. You start to receive the Second or Third Payment Notices from your Creditors. 8. You are beginning to explore ways to get more income in to get by everyday expenses. 9. You are beginning to borrow money (from whatever sources possible). 10. You do not actually know how much you have owed. 11. You are exceeding your credit limits on your Credit Cards. 13. You got one or some of your credit cards revoked. 14. You are making less payments to those necessary expenses – utilities, insurance, mortgage payments so that you can have more spare cash to make payments. 15. You are starting to avoid those friends’ gatherings (to cut down on expenses), postponing your medical or dental checks or even scared to pick up a call from your creditors. If you are indeed seeing most of the signs happening on you, then it’s time to look into your personal finances and into your credit card spending habits. Take control of your personal finances today and avoid getting into those credit card debt issues!